Charming home w/new paint, new carpet, new granite on public water & sewer conveniently located to shopping, restaurants & easy access for commuting. 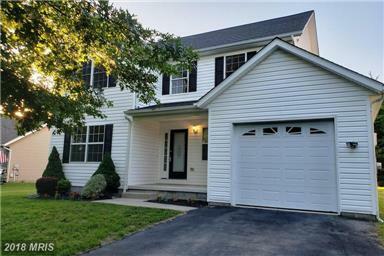 Spacious family room w/gas fireplace overlooks large deck & back yard. Kitchen w/granite & breakfast room. Separate dining room. Master w/his & her closets, bath w/soaking tub & walk in shower. 1 car garage.